Why Your Kids Need Vaccination? Germs like viruses or bacteria infect the body, they attack and multiply into more number. This attack is called an infection, and it causes illness. The immune system has to fight against the infection. Once it fights off the infection, the body has a supply of cells that will assist identify and fight that disease in the future. These supplies of cells are known as antibodies. Vaccines aid to enlarge the protection by imitating an infection, but this “imitation” infection does not cause illness. Sometimes, after getting a vaccine, the imitation infection can cause slight symptoms, like fever. Such slight symptoms are normal and should be ordinary as the body builds protection. For most of the child, a needle inserted into their arms or other part of the body is very hurtful. Nervousness before receiving a shot is common, no matter your child’s age. The worry is when more than one vaccine is given at a time. In some cases, 2 or 3 injections are given during a single doctor’s visit. Venkataeswara Hospitals are also a Child Care Hospital in Chennai, having experienced Pediatrician in Chennai. 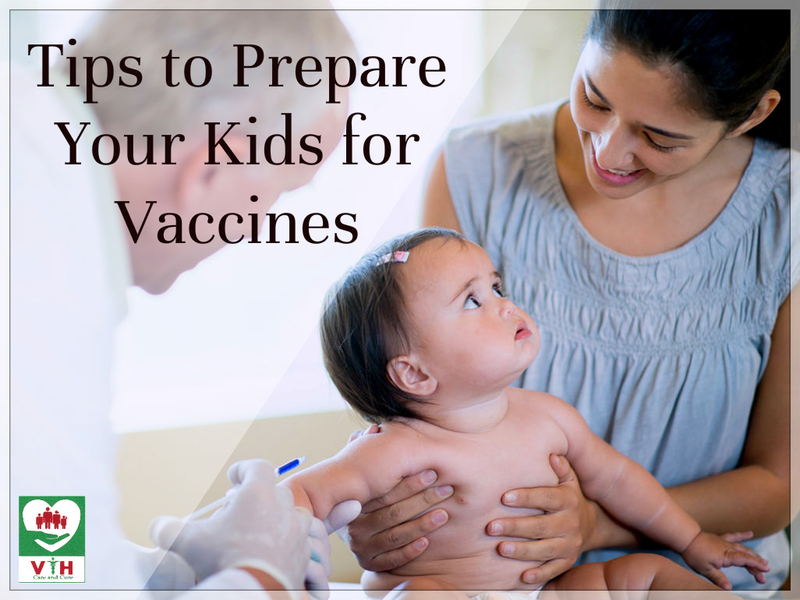 Here’s a few Fastest tips to help prepare your child for vaccinations. Tips 1: To make smooth experience, get ready your child in advance for the vaccines. If your child is sufficient to understand, describe how vaccination will help them in illness. Never express that the vaccination as a penalty or use them as a threat. Tips 2: For young kids and babies, you can cuddle and soothe them to assist them get through vaccination, and rock them afterward to reduce their crying. Holding your children on your lap may it help them to calm. Tips 3: For elder children, try soap bubbles, pinwheels or Telling them stories or reading books or music to divert their attention. Some older children feel better by hugging their parent. If your Child Specialist believes it is suitable, let older kids choose the site of the injections, giving them a sense that they have ability to control over the process. As kids get older, they need additional doses of some vaccines for greatest protection. Older kids also need protection against additional diseases they may encounter.